Carbonless forms are a perfect custom receipt for those in the building, manufacturing, medical, design, travel or independent contractor industries. 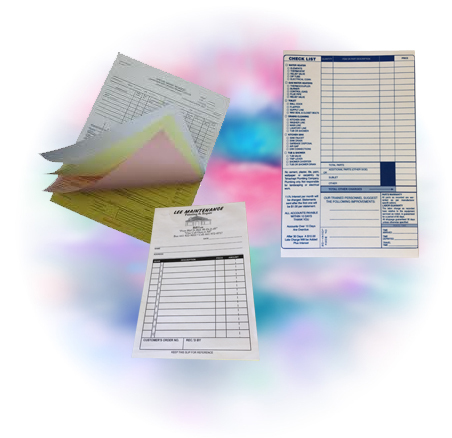 Choose single sided, double sided one to 4 part forms, good for invoicing, receipts, work orders and more. These forms allow all parties involved to have a copy of the agreement, receipt or proposal for their records without making copies on the spot. With the available variable data and sequential numbering option, it is easy to keep your records organized.